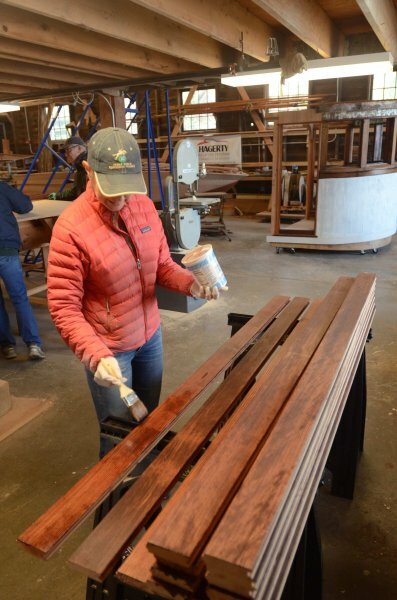 Join us in the woodstove-heated joiner shop for a new workshop focused on varnishing! We’ll begin by discussing the tools, materials, and techniques used. Then we’ll break out the sandpaper and brushes, and practice varnishing various items around the shop. And since here in the PNW varnishing sometimes needs to be done under less than ideal conditions, we’ll look into what can be done to get the best results possible in difficult circumstances. With the hands-on experience you gain in the workshop, you’ll leave with confidence to tackle those Spring varnishing projects. All materials are provided, please wear work clothes.